Bring your Horses!!! 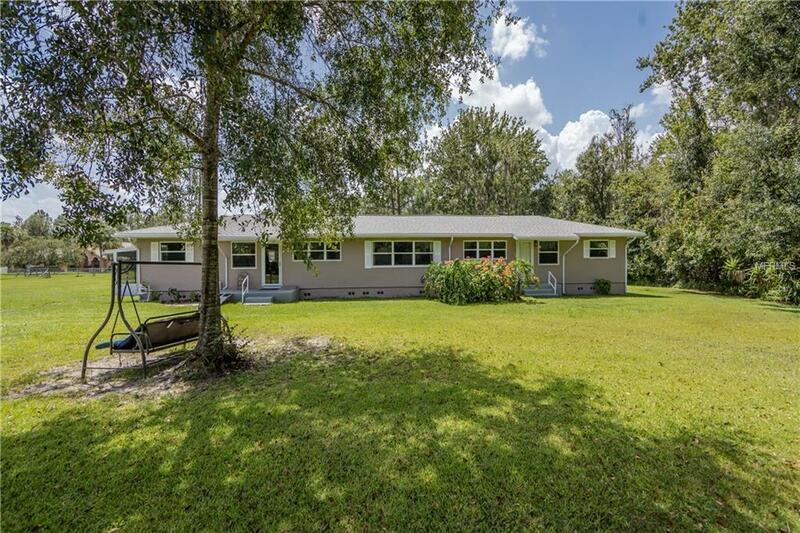 Enjoy this unique and spacious Ranch Style home. As you step inside this open and spacious floor plan you will find Two Country Kitchen's with a large Formal Dining Room. Sliders go out to a large sunroom. There is a Beautiful Formal living room and a Large and open Family room. Enjoy 5 bedrooms or use it as 4 bedrooms and a study. Another use for this home can be as a attached granny flat for two family's to live in!! Set back off the main road on over 3 acres of a flat natural lot that is fenced with conservation on two sides you have lots of peace and privacy. There is also a pole Barn on site. The property is zoned agricultural and allows for horses. There is no Homeowners association. This natural setting is close to shopping and the attractions and can be re-zoned commercial. Bring your buyers and your imagination of the many uses of the property. Call for your private viewing today! !